WOW! My math hating daughter said she likes IXL! IXL is an online math program that goes from PreK to Algebra with Geometry & Trigonometry coming soon. 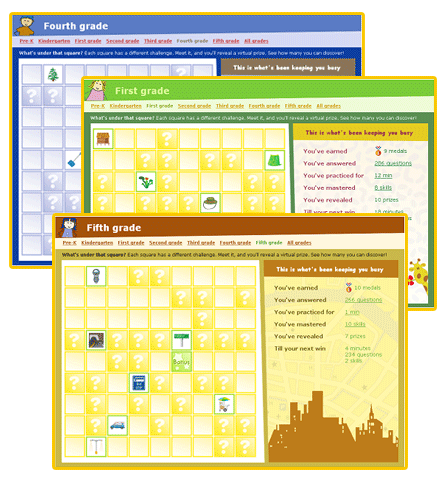 This math practice website can be used with any curriculum. Each student has access to all the topics in every grade & the student can work on sections by grade or by topic. There are an abundance of math problems for every learning style. They approach math concepts from all angles, offering visual representations, word problems, and more. The practice environment encourages students to learn from their mistakes. 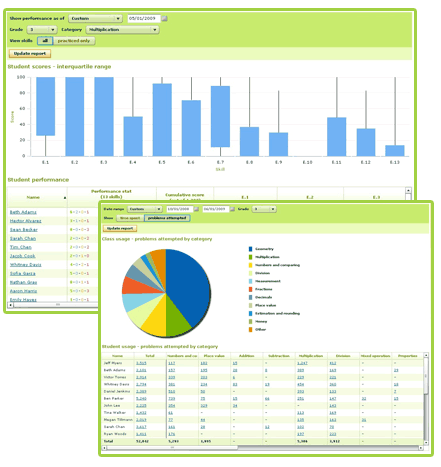 You can keep up with your students learning through the reports and e-mail updates. They indicate exactly which problems the students missed, where they have trouble, how they've progressed, and how much they understand. IXL is used in over 150 countries and matches up to all 50 states standards. The comprehensive state reports lets you know if your child is ready for a standardized test. The emails that are sent are very brief and only state what the child has achieved & provides a link to print off their certificates if they have reach the goal. Once a week there is a family email sent that lists the stats for each child. IXL offers 37 reports to monitor progress & trouble spots for your child & you can view the actual problems that the child missed along with the answer they chose. All three of my girls (ages 7, 10, & 11) had access to IXL. They all three enjoyed working on the problems but what really shocked me was when Amber said she actually likes IXL. Amber does not like math! Ok, she likes fractions and story problems but she doesn't see the need for a bunch of numbers on a page that need an answer. She said the main reason she liked this program is because she could move around where she needed to be very easily. If she didn't know how to complete the topic she could skip down a grade if it was easy she could move up one. IXL can be purchased by the month or the year. The monthly plan is $9.95 or yearly for $79. for one student. Each additional student will be $2.00 a month or $20.00 a year. Disclaimer: As a member of the SchoolHouse Review Crew, I received 6 months free access to IXL to use with my children, in exchange for my honest review.